Friendly Reminder: Special skill and techniques required for proper installation. Think twice before you disassemble your iPAD. for Apple Ipad 2. IPAD 2ND GENERATION. (Not compatible with original iPad first generation). Compatible For iPad 2 CDMA. Apple iPad 2 16GB (A1395) EMC 2560, 2012 version Only. Part Number: 821-1461-A. Its is compatible with the Apple iPad 2. We feel that finding the parts you need should not be a major task. We will work hard to fix any problems. Let us fix the problem for you. We will do our best to get back to you as soon as possible. MUST READ! Compatible : For iPad 2. it may result in void of warranty. We will try our best to satisfy you! 1 x ● Vibrate Switch. 1 x ● Power Button. Compatible with Apple iPad 2 A1395 A1396. 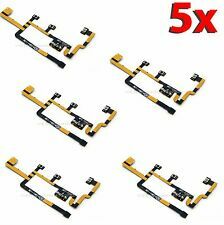 Flex Cable only, other accessories demo in the picture are not included! 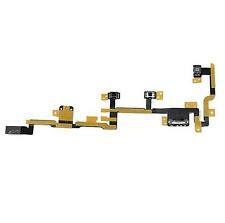 1 x Flex Cable. Due to the difference between different monitors, the picture may not reflect the actual color of the item. Replacing and repairing the parts is not easy. (((For Different Color or Quantity-->Check out here !))). color(Black). (see picture for detail). Top Quality. Pre-installed part will make the installation works a lot easier and accurate. Compatible: iPad 2 Wifi or 3G, Any Capacity. 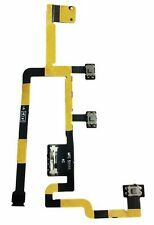 Qty-1 New Power Flex Cable for iPad 2 1st Generation (Pre-2012). -Compatible with iPad 2 1st Generation (Pre-2012). Here is what is included Compatibility List. 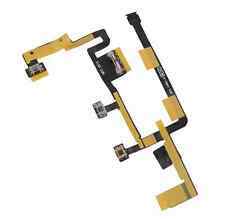 New For iPad 2 A1395 A1396 A1397 Power Volume Flex Cable ON/Off Switch Button. WORKS FOR iPad 2. WE ARE HERE TO HELP. Problem with Your order?. It is slightly used, but in excellent condition. This is an GENUINE APPLE for an iPad 2. GREAT WORKING CONDITION. 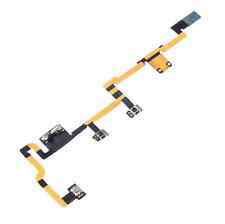 Power Button Volume Button Ribbon Flex Cable For iPad 2 A1395 A1396 A1397 TO US. FOR IPAD 2ND GEN. On Your iPad. Compatible With iPad 2nd gen Old Version. ALL iPad 2 Models (Model numbers: A1396 & A1397 ). No exception. • PART # 821-1151-A. (Photo above is actual part). Must be unused and in original condition. Item Features: A Brand New, High Quality Replacement Part Each item has been tested before shipping and 100% working Color: Refer to the photos Specification: Please note that this is not compatible with Ipad 2 A1395 (EMC 2415 ) A1396, and A1397 This item works with Ipad 2 A1395 (EMC 2560) purchased after March 25, 2012 Compatible Part Number: 821-1461-A Compatible with: iPad 2 A1395 (EMC 2560) Wifi Only 2012 version Package Includes: 1 piece Power ON/OFF Volume Flex Cable 1 pc Tools Kit. 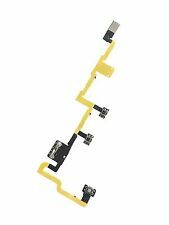 Specification: Please note that this is not compatible with Ipad 2 A1395 (EMC 2415 ) A1396, and A1397 This item works with Ipad 2 A1395 (EMC 2560) purchased after March 25, 2012 Compatible Part Number: 821-1461-A Compatible with: iPad 2 A1395 (EMC 2560) Wifi Only 2012 version Package Includes: 2* Power ON/OFF Volume Flex Cable 1* Tool kits. This is an GENUINE APPLE OEM MUTE BUTTON BRACKET. It is slightly used, but in excellent condition. For Apple iPad 2 Generation. This item is compatible with both the 3G and the WiFi Versions of the iPad including Sprint, AT&T, and Verizon. Power Button Does not work. This is an GENUINE APPLE PART. SEE PICTURES FOR DETAILS. ANY STUFF ON THE BACK IS JUST TAPE RESIDUE AND CAN BE REMOVED. This is an GENUINE APPLE PART. SEE PICTURES FOR DETAILS. Fuse Holders. Alarm Systems & Parts. Compatibility: iPad 2, 3 or 4 (All versions). Other iPad 2 Parts. iPad 3 Parts. iPad 4 Parts. Power Distribution. Power Adapters. IPad 2 A1395 A1396 A1397. 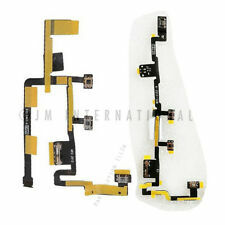 Compatible :For iPad 2 A1395 A1396 A1397. it may result in void of warranty. We will try our best to satisfy you! MUST READ! This is brand new Apple iPad 2nd Gen A1395, A1396, A1397 Power Button Replacement Repair Part. Please refer to the pictures. This unit has been thoroughly inspected and tested by our in-house, factory-trained technicians. As a result of the technicians' professional handling and care, the unit has been returned to factory specifications. 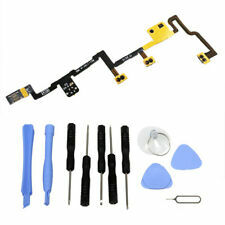 You can expect a fully-functional unit. .
1x - Wifi Antenna Flex Cable for the iPad 2. 1x - Screen Adhesive for the iPad 2. Replace tilt switch. Compatible Models: iPad 2 (A1395, A1396, A1397). -Replace power button. You are buying, using and possessing this item at your own risk. 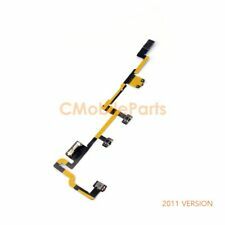 This part can be used to replace the side buttons on your iPad 2 3 4. We are PROFESSIONAL dealers in cell phone spare parts, you can be assured your buying from a trusted source. 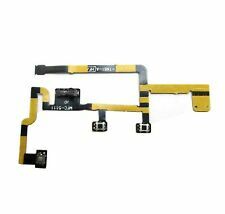 This part can be used to replace the power button flex cable on your iPad Air 2. We are PROFESSIONAL dealers in cell phone spare parts, you can be assured your buying from a trusted source. MMOBIEL has over 10 years of professional production experience and strong technical force, is outstanding in the area of spare parts and repair tools. We do our very best to provide highest standard, professional services and products.